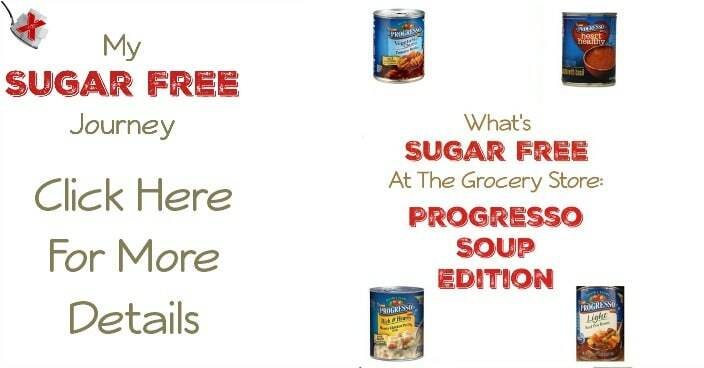 What's Sugar Free at the Grocery Store: Progresso Soup Edition! 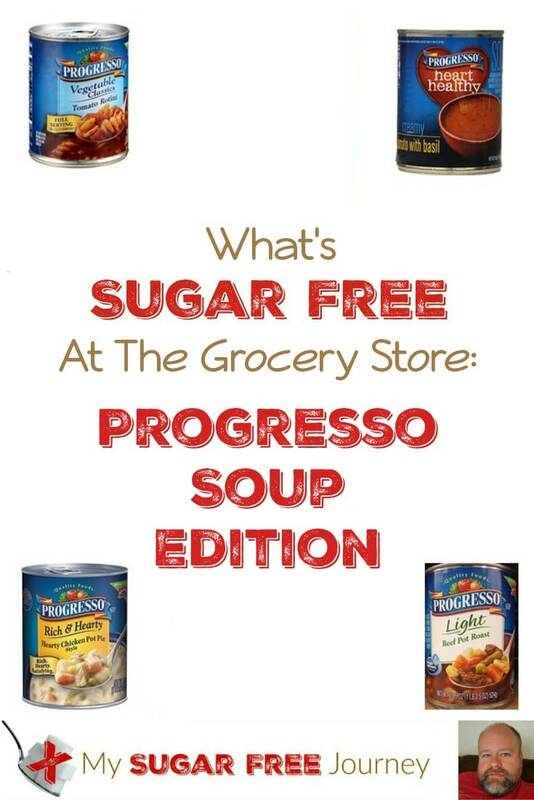 What’s Sugar Free at the Grocery Store: Progresso Soup Edition! Our What’s Sugar Free at the Grocery Store series continues and hot on the heels of our look at Campbell’s Condensed Soups, this week we are looking at Progresso! Of the 2 soups, I’ve always preferred Progresso because I like a soup with chunks of stuff in it, those cans of Campbell’s Condensed are almost all liquid. Which is fine if you are eating tomato soup but sometimes you want recognizable pieces of meat and veggies. Listed below are the Progresso soups that contain no added sugar with fructose. There are a few that have added sugar without fructose and those are marked as well. Please remember to subscribe to my daily email to never miss a post. Enjoy! PREVIOUS POST Previous post: Low Carb Chicken Fried Steak Recipe! NEXT POST Next post: 4/13 Weightloss Wednesday: 26 Lbs Down!